What Percent Do Realtors Charge? 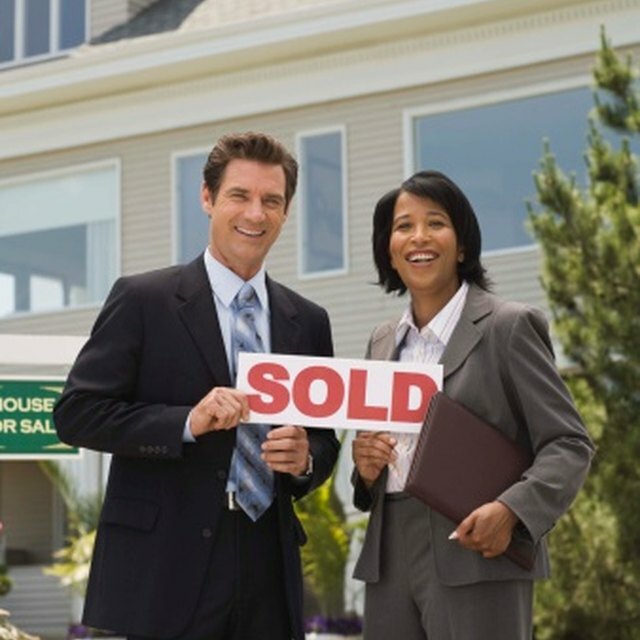 Realtors perform an invaluable service for individuals trying to sell their real estate to potential buyers. Realtors have the marketing and selling tools to get your property in front of prospective customers, limiting the total time the home sits on the market. To make an income, realtors charge a percentage of the home's sale price. Most realtors do not charge a fee upfront for attempting to sell your home. The typical fee a realtor charges for selling a home is approximately 6 percent of the home's final sale value. For example, if you sold your home for $100,000, your real estate agent would collect $6,000 for her services. However, the selling agent does not get to keep the entire 6 percent of the sale. The fee is usually split 50/50 between the selling agent and the agent of the buyer, though that split can vary due to contractual agreements. Additionally, the brokerage firms for which the agents work take a small portion of the fee. Real estate agents are responsible for listing your home on the market, advertising the home to prospective buyers, showing the home to clients and negotiating the final sale price. Agents may also suggest improvements for the home owner to make in order to sell the home. The seller's agent and the buyer's agent form the final real estate contract for both parties to sign in order to transfer home ownership. There may be a few instances in which you can negotiate a lower percentage rate from your real estate agent for the sale of your property. For example, if you plan to sell multiple properties with the agent, you could enter into a bulk agreement that specifies a lower percentage in return for increased business. In addition, if you have an expensive property for sale, you could negotiate a lower percentage based on the total amount the real estate will gain from the high sale price. Real estate agents spend money on advertising, travel, property listings, open houses and a number of other items in order to sell your home. The percentage they charge for selling your home may leave a slim profit margin, which can stifle your ability to negotiate for a different rate. Additionally, the brokerage firm for which the agent works may specify that a certain percentage must be charged for services.